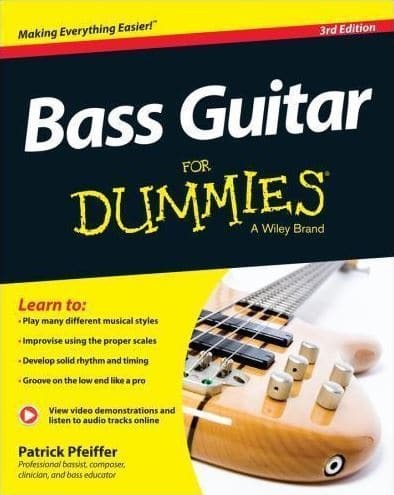 It’s never too late to start learning bass. Check out my list of the best beginner bass guitar books to jumpstart your learning experience. No matter if you're a young or old player, there's never a wrong time to start learning the bass. Along with YouTube, books are an excellent method to start learning without spending a fortune on private in-person lessons. This article will provide you with a list of the best beginner bass guitar books that anyone can start learning from and jamming in no time! ​This section will give you a very quick preview of what's to come in this article. Each book in this list will be discussed with more detail and explain why you should take a look into reading these if you are a beginner. ​First 50 Songs You Should Learn On Bass by Hal Leonard Corp.
​It should also be mentioned that this listing is not in order by rank. All of these publications are great, and you will benefit from multiple ones. 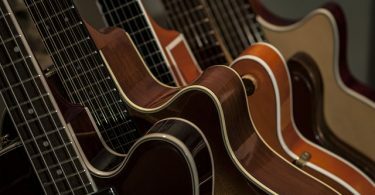 ​Hal Leonard has created instructional material for musicians for many decades, and it has a long history of helping beginners get started with any instrument. This is an awesome choice for novices because it contains 3 different volumes compiled into a single collection. ​This gives you value while also allowing you to progress once finishing up a book in the series. 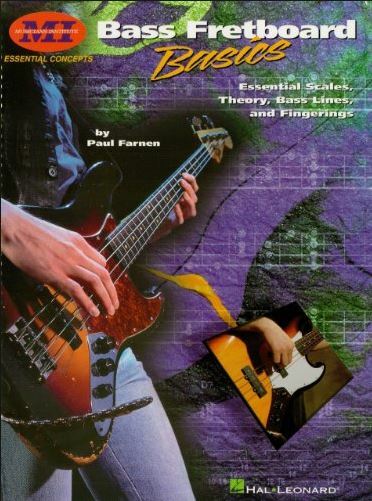 Mostly, you get the most bang for your buck by choosing Hal Leonard Bass Method: Complete Edition. You get 3 bass books for the price of one! ​Ah, good ol' music theory! Sometimes theory can be polarizing amongst musicians​. Some believe it will interfere with their personal style ​and others are just intimidated by it. ​However, understanding the fundamentals of theory can only help you across your musical journey with greater ease. Think of it as another tool that you can use at will. 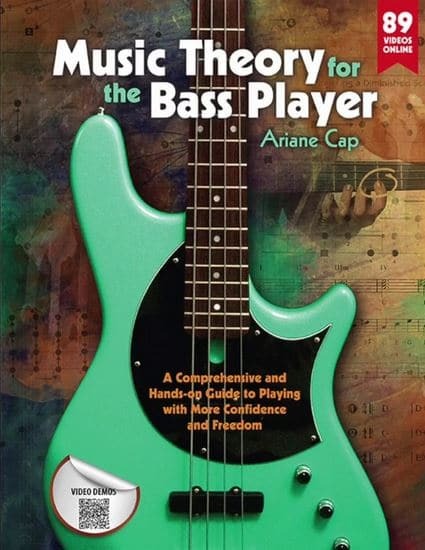 ​It's also an excellent idea to start learning music theory early on by choosing theory-based bass guitar books for beginners, so there aren't any holes in your playing later on. It's a skill to be able to communicate in the language of music, and this guide will help you understand it and teach how you can apply it to the instrument. ​A lot of music theory concepts build up from one another so you can learn things step-by-step. Start with the basics, such as understanding the musical keys, scales, and how to build chords. You can even learn music theory without a bass, and it can also be used towards different instruments, so the carryover is extremely useful. ​This one is also centered around music theory, and it teaches everything you need to know about how it connects to the fretboard. ​Any instructional that covers these already has potential to be one of the best beginner bass guitar books. Learning your scales can instantly help you become a better player. ​However, some of the more complicated stuff that this book contains, like modes and arpeggios, might be kind of overwhelming initially, but you don't need to get bogged down by it. Just revisit this one when you've got more playtime under your belt because you'll want to know about this stuff later. First 50 Songs You Should Learn On Bass by Hal Leonard Corp.
​When learning an instrument, all beginners should be able to learn how to jam along with songs. This Hal Leonard compilation is one of the top bass guitar books because it contains many of the most popular songs for it in tablature-form. ​Of course, this publication will contain harder songs, but there are definitely tunes in there for beginners such as Billie Jean by Michael Jackson and Blitzkrieg Bop by The Ramones. These are just a couple of instances of songs that are accessible to new players. ​Like the previous book, it will be useful to hold onto this one later on so you can start tackling the harder songs. One of the greatest tools any musician has is grooving along with a song because it can teach you how to learn and play the bass by yourself. ​It also gives you a musical context, instead of relying solely on playing against a metronome. Metronomes are very useful and should be used in a lot of your practice sessions, but make sure you have fun and learn from jamming along with your favorite songs too. ​The For Dummies catalog of books have been hugely successful in introducing people to new subjects and hobbies. There has to be at least a couple of thousand different For Dummies instructional guides out there. ​The reason why this series has been very favorable is that they can be fun to read and are written in ways that make it easy for anyone to understand. This definitely applies to Bass Guitar For Dummies by Patrick Pfeiffer. ​This one is one of the best bass guitar books for beginners because it basically has everything you need to know without demanding you to learn how to read music. It even teaches you about non-performance aspects such as caring for your instrument and discussing great players in history. ​Even more advanced players will probably find something they didn't know in this publication, or they can use it as a reference or as a refresher. Beginners who buy this one won't let it go. 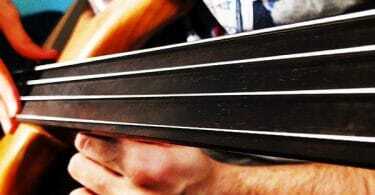 ​These best beginner bass guitar books all have something that will highly benefit new players. Some are broad, and others cover a specific area. It's recommended to pick at least one that includes a bit of everything and one that goes more in-depth about a particular topic. For example, Hal Leonard Bass Method: Complete Edition along with Music Theory For The Bass Player. ​One of the most important aspects of these choices is that they are very affordable; on average, they range from 10 to 30 USD. You get a ton of information that you can reference at any time. These are also usually written in a way that makes it easy for beginners to understand. 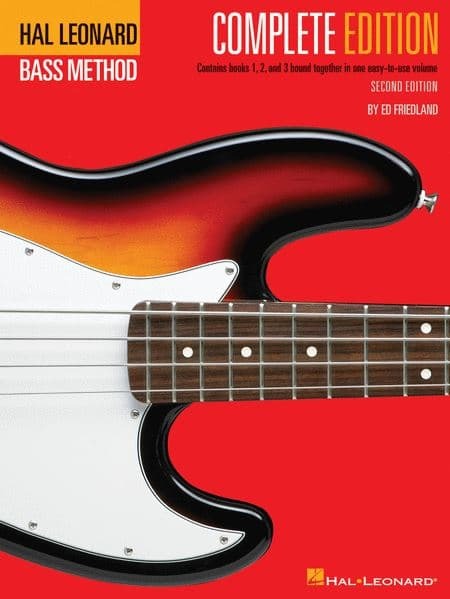 ​Another feature is that most of these books for bass guitar, except for First 50 Songs You Should Learn On Bass, come with some form of audio or video examples, with tablature, which makes it easy to follow along to. ​Instructional books used to come with CDs, but nowadays, these allow you to stream and view examples on a website. This would enable you to see it on your phone or tablet if you wanted to. Displaying your text on these devices is also possible if you buy an Amazon Kindle version. 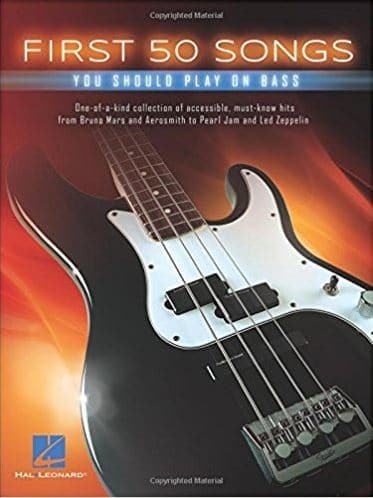 ​That being said, these bass books are highly recommended for any new player. Learn how to effectively start learning the instrument without breaking the bank with weekly private lessons. Follow ​up with YouTube lessons, and you will go far with your bass playing.